Are you ready for a richer understanding of your own bodies, minds, and spirit? Are you ready for a deeper dive into practice? Are you seeking to learn more about the ancient practices of yoga and Ayurveda that help to support health and well-being in innumerable ways? Do you desire to live a more awake and conscious existence? Has the practice of yoga touched you in ways that inspires you to share your experience with others? Are you open and curious about being part of a safe and inclusive community that is designed to support your personal and professional growth? If your answer is yes to any of these questions, we invite you to embark on this journey with us. Applications have steadily been rolling in and we are beyond excited by the dedication and quality of studentship that is being drawn to Lila’s 2019 Yoga Teacher Training. There are still a few spots remaining and if you are feeling the call to participate, the time is NOW and we would love to hear from you. “When the student is ready, the teacher(s) will appear.” – Buddhist proverb. Our vision of a comprehensive 200 hour Lila Teacher Training has been to gather potent voices who have had great impact on and off of their yoga mats and meditation cushions and bring those voices together to collectively share stories, knowledge, practice time, wisdom, and expertise born from decades of dedicated practice. Together we are stronger, more relevant, and offer a richer tapestry. We are over the moon excited to share these superheroes and heroines with the Lila Yoga Teacher Training community. Want to find out more information? Click HERE for more details on the training. Ready to register? Click HERE to fill out the application and click HERE to put down your deposit. Genell Huston is the studio owner, teacher of yoga both on and off the mat, mama of two boys, dedicated and evolving partner, and keen adventurer. Yoga, if defined as a way to steep and deepen connections through all things, has been a part of her whole life. She grew up embodied as a dancer, athlete, and outdoor adventurer. The practice of yoga asanas have been inspiring her life since 1999 when she stepped with vigor and desire into her first training. That was the gateway in to what has become a lifelong journey of welcoming movement, intention, reflection, self study, practice, and exploring ways of conscious being. She weaves her bright personality, depth of understanding of alignment, creative sequencing, and love for the practice of yoga + Ayurveda into her teachings. Genell sees yoga as a way of life; she believes in the practice involving and evolving into more than just asanas (physical postures). Through her teachings she hopes to offer students the time and space to lean into sweeter and more conscious relationships with all things: their multi-dimensional bodies, spirit, community, and Mother Nature. 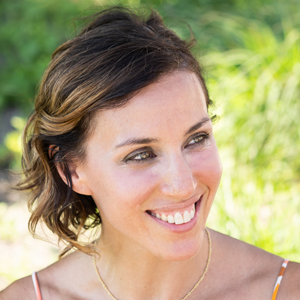 Jen Queally has studied yoga and meditation extensively for 25 years and has taught since 1997. 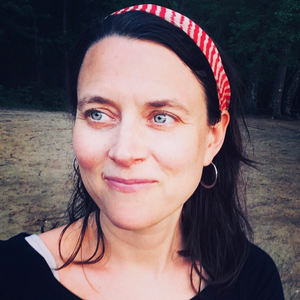 A clinical mental health counselor, Jen believes fervently in the restorative benefits of practice to awaken and heal disparate parts of the self and she has a particular affinity for sharing meditation and yoga with those who struggle with mental health and substance use disorders. Jen has embarked on several pilgrimages to India and has studied with master teachers in the Anusara, Astanga, Jivamukti, and Kripalu yoga systems. Eclectic in style, and blending from many traditions, Jen regards the mat as an extraordinary laboratory for discipline, self reflection and healing. 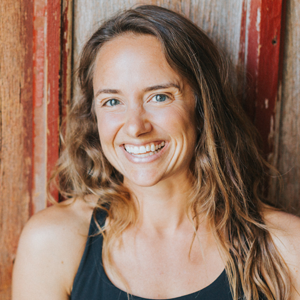 A founding board member of Sea Change Yoga, Jen actively supports the mission of bringing trauma-informed yoga to students who otherwise would not have access. 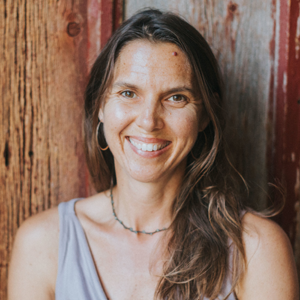 Jen’s teaching is informed by vipassana (insight) meditation and awakens connection, compassion, consciousness, and supports students to live yoga in all aspects of their lives. 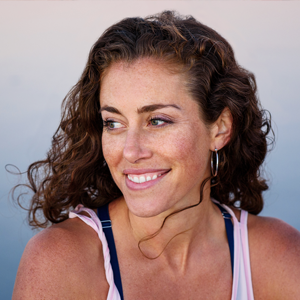 Jen is a holistic health coach, and runs her own health and wellness business alongside her counseling practice. Her greatest passion and devotion lies in supporting her family life and parenting her two children. Tracy Bleier has been a local teacher and community leader/builder for the past twenty years. She has had many classrooms, from inside a traditional high school where she taught English Literature and writing to inside a yoga room where she taught people of all demographics the value that a yoga practice can bring to their lives. She has owned studios for decades, taught trainings and workshops and has spent most of her life as a voracious learner. She believes that our lives give us precious opportunities to learn about ourselves and she uses observations about her own life, refined from her years of practice, to tap into universal truths that feed the conversations she infuses into her classes. Tracy teaches a range of yoga experiences, including the physical practices of Hatha Vinyasa yoga and functional movement and the contemplative practices of meditation and journaling. Tracy is happily married and is a proud mama to three boys, two dogs and a cat. She recently moved to Chicago where, in addition to teaching and caring for her family, she is writing her first book. Mitchel Bleier has been teaching, training, and presenting his work to the world for over the last 20+ years. He is an internationally known expert in yoga, posture, functional movement, Eastern Philosophies, meditation, biology, energy, and brain function. Since 2000, Mitchel has been leading retreats and training all over the world. Mitchel has had the rare privilege of learning first hand from many of the world’s great Masters, in a diversity of traditions, including an academic education of South Asian Philosophies and Sanskrit from the University of Rochester. His most current teacher is Master John Douglas, a world-renowned theologian, prophetic minister, spiritual healer and extraordinary teacher. Mitchel has taught over 10,000 people from all over the world and has trained thousands of teachers in science and faith-based practices for body and brain performance. 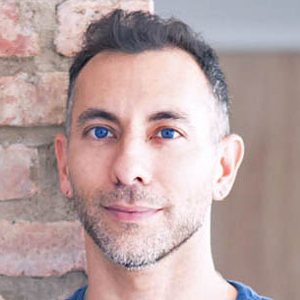 Mitchel currently lives in Chicago, is a father and husband, and is deeply passionate about working with individuals and companies to transform their results, and to create more positive internal and external health.